Shred It Up - A orchid purple crème. Matching Artistic Colour Gloss formula. 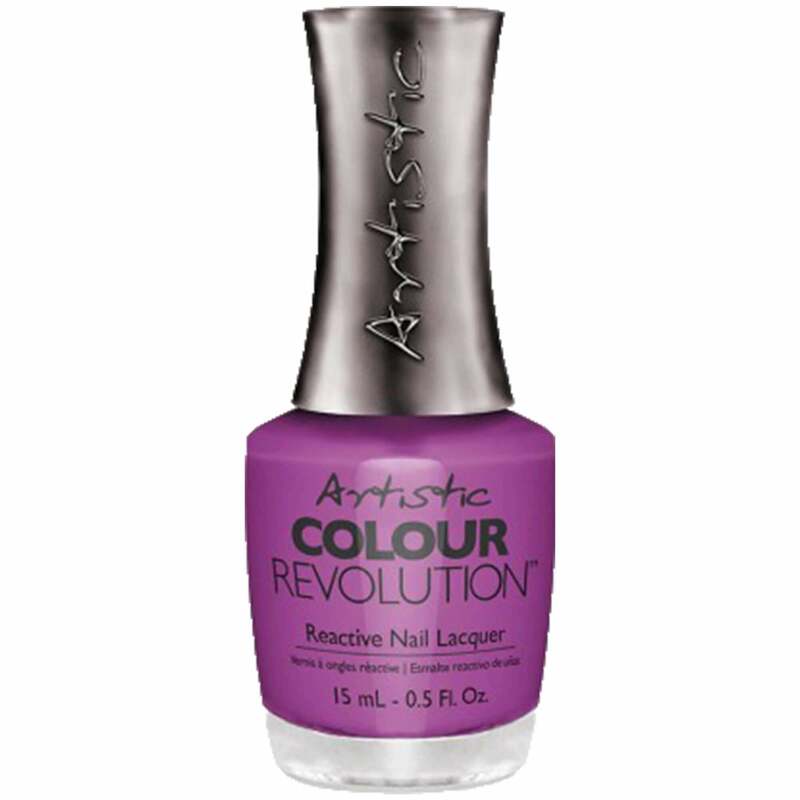 Artistic Colour Revolution provides crystal shine that you have to see to believe. Patent Pending Formula that utilizes a unique self-curing reactive oligomer for hybrid extended wear and shine. Up to 10 days wear. Dry to the touch in just 8 minutes. Start with one coat of Artistic Colour Revolution Reative Bonder. Once dried, apply 2 coats of your chosen Artistic Colour Revolution. Allow to dry. Finish with one coat of Artistic Colour Revoloution Reactive Gloss. Artistic Nail Design was created by world renowned nail artists and nail product developers with the desire to fill the void in the professional nail market for a gel polish brand designed specifically for the true Artist at heart. Artistic Nail Design pride theirselves on consistently developing innovative products that encourage Nail Artists to push the boundaries and explore new levels of creativity through their personal artistry. The core of the brand is their exceptional colour variety. Each of shade is individually conceptualized through inspiration and has their own unique story. Artistic Nail Design produce six colour collections annually to continuously provide the Nail Artist with a contemporary palette of shades. In addition Artistic Nail Design produces professional nail artistry tools and implements, a complete line of exceptional quality hard gels and high quality LED lights. The brand is distributed globally and quickly gaining acclaim as the go-to brand for true Nail Artist’s worldwide and preferred gel manicure product among celebrities. Artistic Nail Design is headed by World Champion Nail Artist and Published Author Alisha Rimando Botero. With over 18 years of experience and dedication to education and product development in the nail industry, she brings immense knowledge and skill to the brand and their unprecedented team of Educators. Creamy and not streaky. Lasted for 7 days without chipping. Very bright shade, really eye catching. Will buy more nail polishes of this brand.